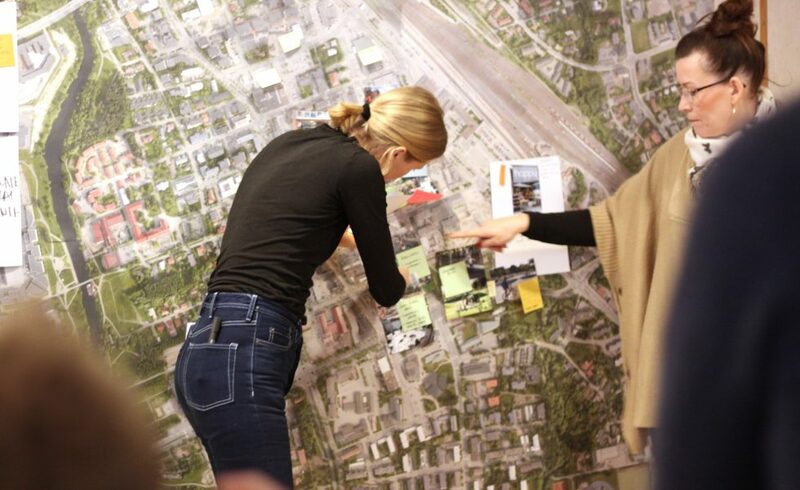 OOPEAA is leading a series of workshops together with Gehl to develop the vision for the future Seinäjoki City Center. As part of this series, on March 19, 2019, there will be an open workshop on envisioning the future Seinäjoki City Center. Everyone is welcome to participate. Prior to the workshop there will be a lecture by David Sim, Artistic Director of Gehl, on the topic of “How to Build a Good City”. The lecture is also open to all. Registration is suggested, but not required. Please register by email by March 14, 2019 at veli-matti.prinkkila@seinajoki.fi. Your registration will help us to better plan for the event. The event will be held in Finnish and in English with translations. The city of Seinäjoki is one of the fastest growing urban areas in Finland. In this period of growth, the central parts of the city have a great potential to offer in developing the city in a way that can help make the entire city of Seinäjoki more livable, attractive and connected. 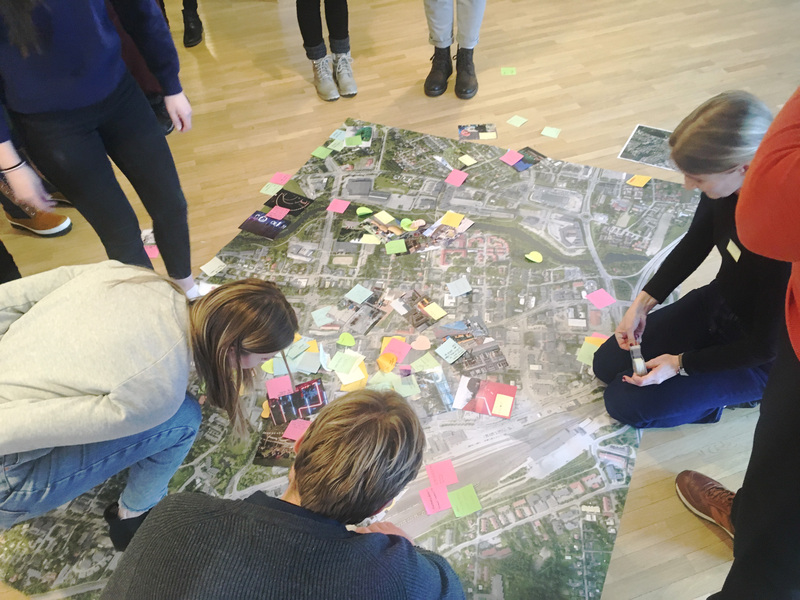 OOPEAA in collaboration with Gehl is working together with the City of Seinäjoki to create a strategic vision for the urban development of the Seinäjoki City Center. The goal is to create a spatial strategy for a holistic development of the city. The collaborative process, including the series of workshops, helps to envision the future spaces in the city center and to test ideas together in order to create a shared framework for guidelines for the future development of the Seinäjoki center. 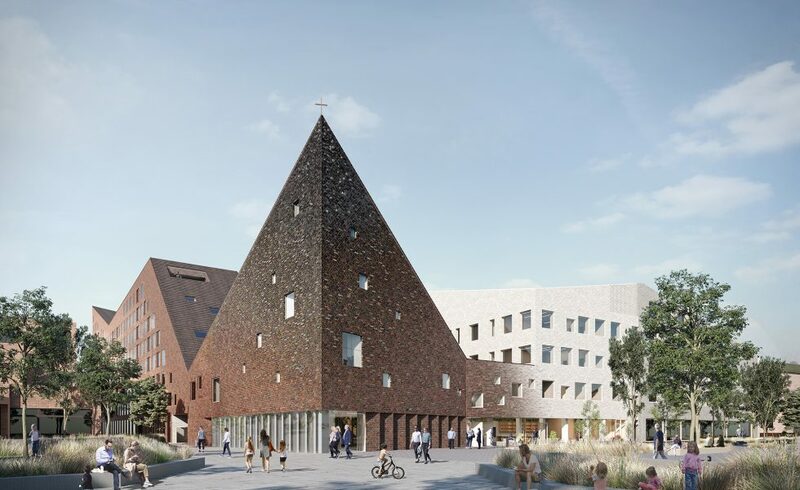 In order to translate the vision into a tangible tool for action, a toolbox will be created to provide a set of alternative solutions to be applied for the future development of the Seinäjoki City Center. The first workshop took place on January 24, 2019. It was organized around the theme of goals, visions and hopes with the topic of “How do we live in the future Seinäjoki?” The second set of workshops takes place in March 2019. It focuses on the theme of “Building the city”. 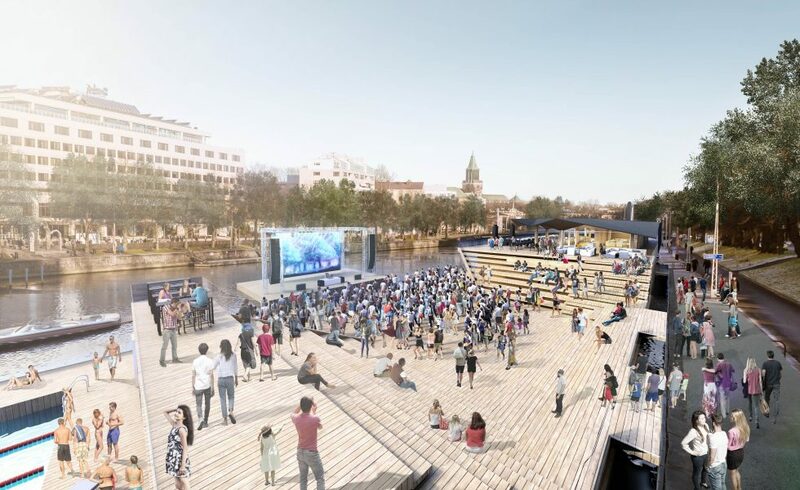 The proposal by OOPEAA and Töölö Urban, Kaarna, wins the design and build competition for a Cultural River Float, a floating structure to provide a place of cultural activity on the river Aura in a central location in Turku, Finland. The competition was organized by the City of Turku with the aim of activating the river landscape and the area in front of the Wäinö Aaltonen Museum, an important art museum and a focal place of culture in the city. The competition set out to seek a floating structure that would offer a place for cultural activity all year round with a convincing business concept and high architectural quality. OOPEAA is responsible for the architectural design while the business concept is developed by Töölö Urban. With spruce and larch as its main materials, and the wide, amphitheater like wooden stairs that offer a place for gathering and hanging out, Kaarna has a strong identity with a special character of its own. 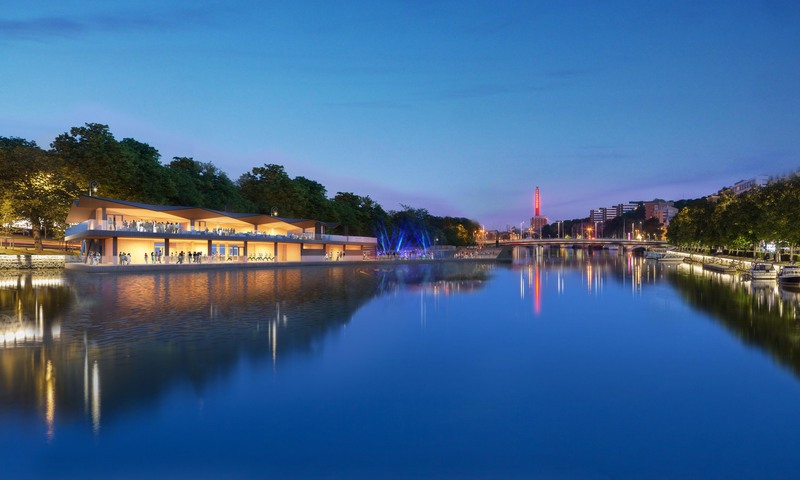 It proudly takes its place in the historically significant cultural landscape by the river bridging together the prominent cultural buildings and the greenery of the riverside park. The multifaceted roof links the structure with the surrounding modernist buildings with its bold, contemporary expression. The green creepers growing along the walls, in turn, connect with the greenery in the park. The carefully designed lighting beautifully lifts the floating structure in the river in the evening hours inviting visitors to come in. The generous roof terraces afford great views over the river and the shore activating the river as a central element in the city in a new way. Kaarna will provide a place of activity and gathering for people of all ages throughout the year making the river a living part of the city. The spaces are divided into three functionally differentiated zones. In one end of the 120 meters long and 20 meters wide structure there will be a sauna and a conference space complemented in the other end by a restaurant and a café with ample outdoor space and semi-warm terraces, as well as flexibly adjustable spaces for a range of different kinds of activities. There will also be three pools for swimming outdoors all year round, one of them for children, one 25-meter pool with heated water, and one pool with river water. In the middle part of the building wide wooden stairs rise on three sides facing the river. Serving as a place for meeting and hanging out with a view over the river, the stairs form a strong visual and functional focal point for the building. The children’s pool in the middle transforms into a stage and the stairs function as an auditorium. In case of larger concert events, it is also possible to use a separate floating stage that can be brought in through waterways for special occasions. The area otherwise used as a stage can then be used for extending the seating capacity. Together, all the different spaces in the structure form a multifunctional whole in which the different kinds of activities each have their own clearly dedicated zone. The pools introduce water as an element into the building making it a central part of its activity. 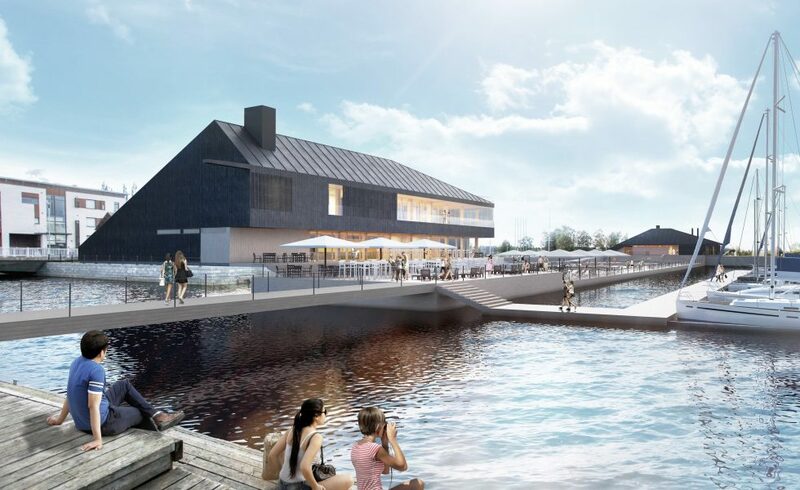 While the floating building is a place of social gathering and of enjoying the scenery, it is also a place of sports as well as a place of sauna and relaxation. It provides a platform for multiple activities from yoga classes to concerts and film screenings, from small private events into public events for large audiences. 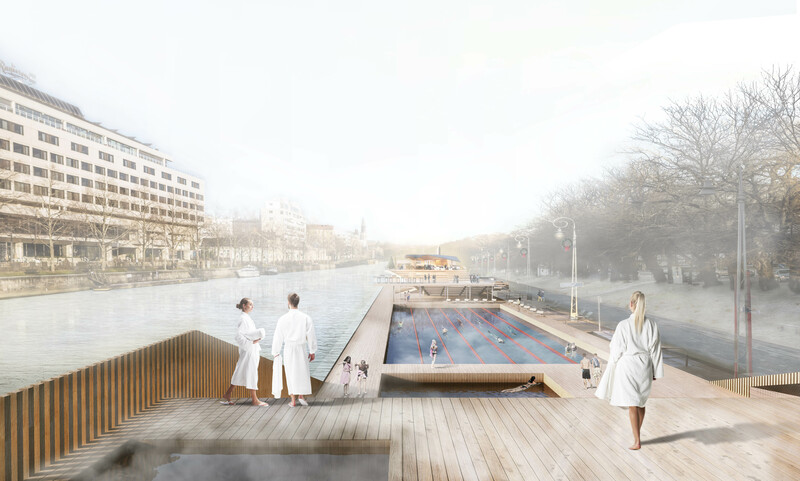 OOPEAA and Töölö Urban won also the second prize in the competition with their proposal Kiila, which is based on the same functional principles as their winning proposal Kaarna, but is smaller in scale. The proposals by OOPEAA and Töölö Urban were praised for best responding to the goals set for the Cultural River Float competition to activate the city’s relationship to the river and to offer a platform for activity for people of all ages throughout the year. For more information on the Cultural River Float project in Turku in Finnish, see here. For a press release by the City of Turku in Finnish, see here. We are happy to announce that three projects by OOPEAA are eligible to be nominated as one of the five finalists in their category in the 10th edition of ArchDaily Building of the Year Awards. Voting is open until Sunday, March 3, 2019. Please use the following links to give your vote. Please note that you can vote for only one project in each of the fifteen categories. The Puukuokka Housing Block explores the potential of modular prefabricated CLT construction to meet the goal of providing high quality, environmentally responsible and affordable housing. 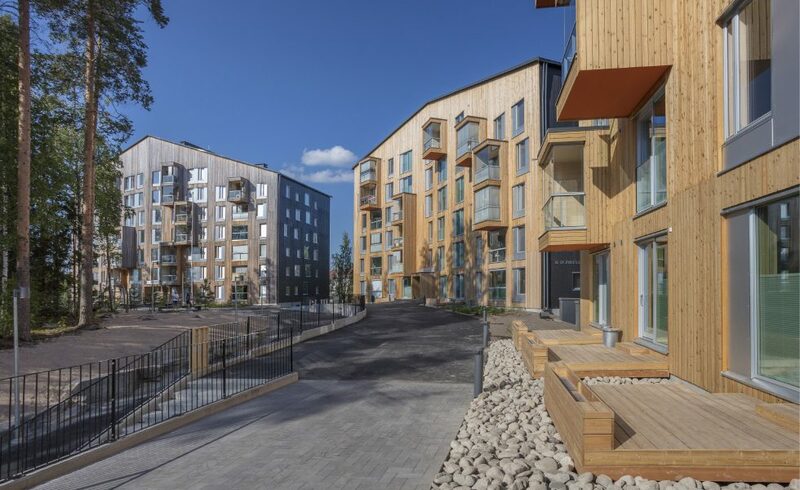 Comprised of three 6-8-story buildings, it is an energy efficient and ecological trio of wood-framed apartment buildings in Jyväskylä. Completed in 2015, Puukuokka One was the first eight-story high wooden apartment building in Finland. Puukuokka Two was completed in 2017 and Puukuokka Three in August 2018. The entire complex offers homes for 184 households from single dwellers of all ages to families with children. The goal was to find a solution that makes the best possible use of the technical and aesthetic qualities of CLT and to create a wooden building in large scale with a distinct architectonic expression of its own. Puukuokka served as a pilot case to develop and test a CLT based system of volumetric modules. Puukuokka also pilots an innovative lease-to-own financing strategy that aims to support social sustainability by promoting stable communities. To vote for the Puukuokka Housing Block, use this link. Risuviita offers a combination of social housing and special housing for people with autism spectrum in Seinäjoki, Finland. With the nine apartments serving residents with autism spectrum located in the same building with the rental apartments providing social housing, Risuviita offers a combination of varied forms of living in a balanced mix. The different types of apartments are functionally separated from each other. In a U-shaped formation, the Risuviita buildings grow from one story high on the southern part of the block to four stories in the northern part of the block creating a sheltered courtyard with a pleasant microclimate in the middle and allowing the maximal amount of daylight and sun into the yard and the apartments. The special sensitivities of the residents have been carefully considered in the design of the apartments, for example in the lighting that can be made dimmer of brighter according to need, with a special attention to natural light, in the clear organization and functional division of spaces, as well as in the colors and acoustics of the spaces. The apartments are clearly divided into zones according to functions. For more information on the Risuviita Housing, see here. To vote for the Risuviita Housing, use this link. The Taika Kindergarten building is carefully designed with the needs and the scale of children in mind in order to provide them an experiential and friendly space. Taika has been well loved by the staff and the children alike since the beginning. Despite the relatively large number of children served, Taika offers a home-like scale. It provides daycare for 225 children between ages of one and seven as well as a place of work for 50 staff members. Taika also serves families with parents with shift work schedules offering overnight care for a rotating group of 200 children with a maximum of 60 children spending the night in the kindergarten at a time. This means that all overnight childcare offered by the City of Seinäjoki to its residents is now gathered under one roof. Also the offices of the regional directors of early education services are now all in one place in the Taika building supporting their work as a team of coordinators of regional services. With its flexibly adapting naptime spaces, its highly practical foyer areas equipped to deal with the challenges brought along by the Nordic weather and the high demands it poses on handling children’s outdoor clothing, as well as the pockets of loosely separated outdoor areas each with its own porch to provide shelter from rain and to serve children of different age groups, the Taika Kindergarten is a great example of the contemporary Nordic approach to the design of kindergarten buildings. For more information on the Taika Kindergarten, see the project description here. To vote for the Taika Kindergarten, use this link. OOPEAA is leading a series of invited workshops together with Gehl People to develop the vision for the future Seinäjoki City Center. The first workshop took place on January 24, 2019. It was organized around the theme of goals, visions and hopes with the topic of “How do we live in the future Seinäjoki?”. The morning session was held with city officials and the afternoon session with upper school students giving both groups an opportunity to actively engage in thinking about the future development of their city. This first workshop day will be followed by a second set of workshops later in the spring with the topic of “Building the city”. The workshops will be complemented with additional focus meetings with restricted groups during the spring. The goal is to develop a vision for the future Seinäjoki city center and to create a spatial strategy for a holistic development of the city. The city of Seinäjoki is one of the fastest growing urban areas in Finland. 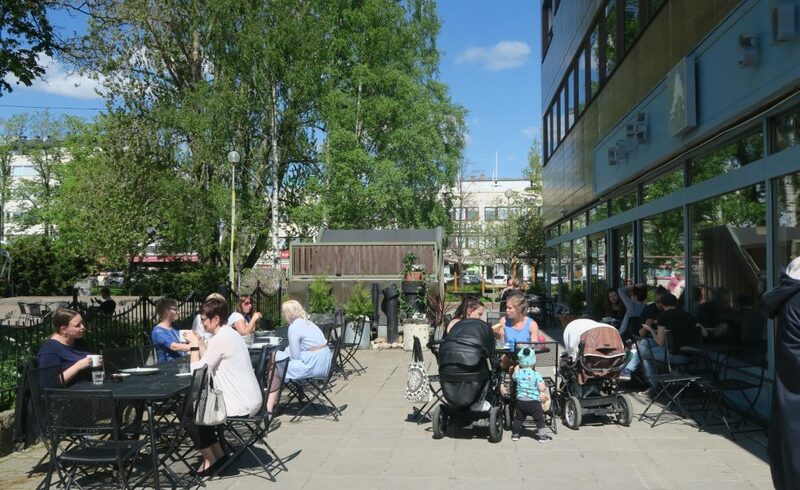 In this period of growth, the central parts of the city have a great potential to offer in developing the city in a way that can help make the entire city of Seinäjoki more liveable, attractive and connected. The center of Seinäjoki is characterized by a unique combination of assets with strong potential: The Cultural Center with the theatre, library, the Lakeuden Risti Church and the administrative center with the town hall, all originally designed by Alvar Aalto in the late 1950s and early 1960s, forms the cultural core of the city. The new library designed to complement Aalto’s original library provides s an important place of active civic life for the citizens of Seinäjoki from young to old. The train station and the travel center connect to city effectively by public transportation to the surrounding regions, and the parkland and greenery along the river that runs through the city offer a great opportunity for enjoying the outdoors even in the very center of the city. Together all of these elements provide a great starting point for creating a vision for a sustainable and liveable city in the future. 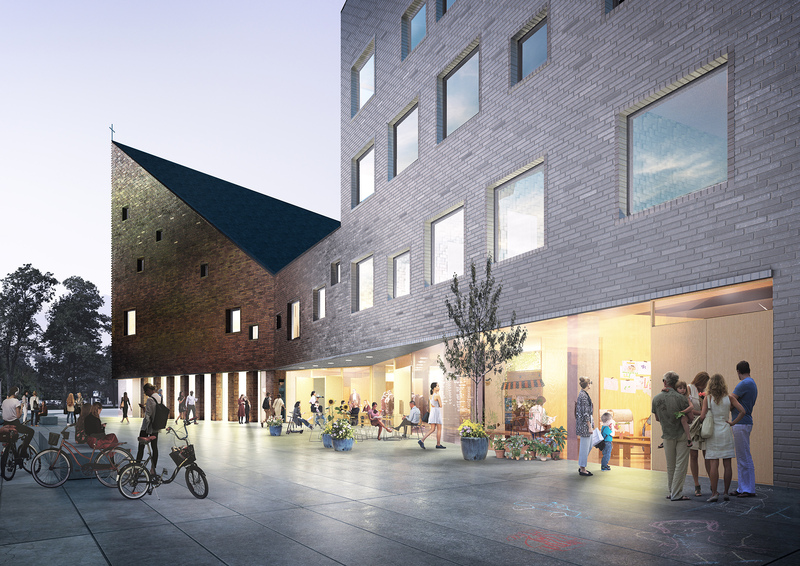 OOPEAA in collaboration with Gehl is working together with the City of Seinäjoki to create a strategic vision for the urban development of the Seinäjoki City Centre. The collaborative process helps to envision the future spaces in the city center and to test ideas together in order to create a shared framework for guidelines for the future development of the Seinäjoki centre. In order to translate the vision into a tangible tool for action, a toolbox will be created to provide a set of guidelines and alternative solutions to be applied for the future development of the Seinäjoki City Centre. The strategic vision and the toolbox that facilitates its implementation will be developed in a series of workshops together with representatives of the City. In creating the vision, design and communication go hand in hand. OOPEAA acts as the lead coordinator and the main designer of the project and Gehl People offers their expertise in analysing the spatial dynamics of the urban life on the streets and public spaces. The Urban Planning Department of Seinäjoki supports in the organization of the workshops and in facilitating the communication in order to help involve stakeholders and locals in the process. 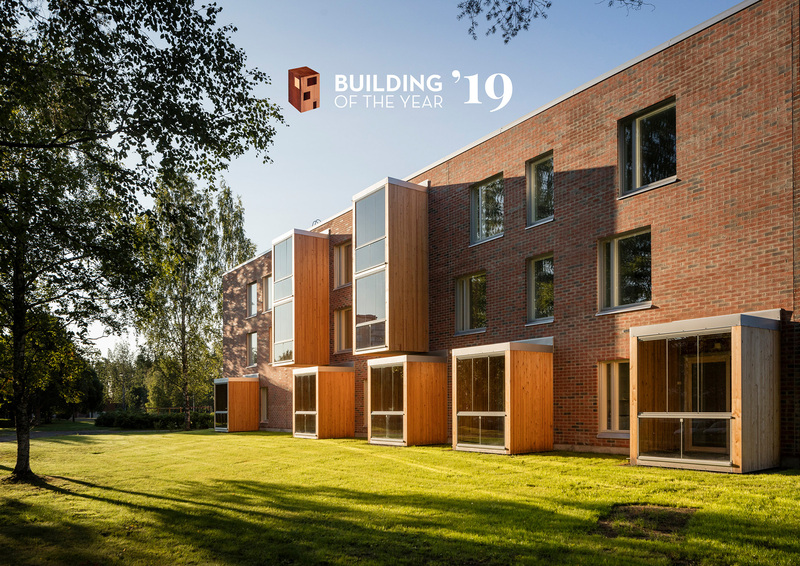 ARA, Center for Funding and Development of Housing has chosen the Puukuokka Block as the recipient of the Best ARA Square Meters of the Year Award 2019. 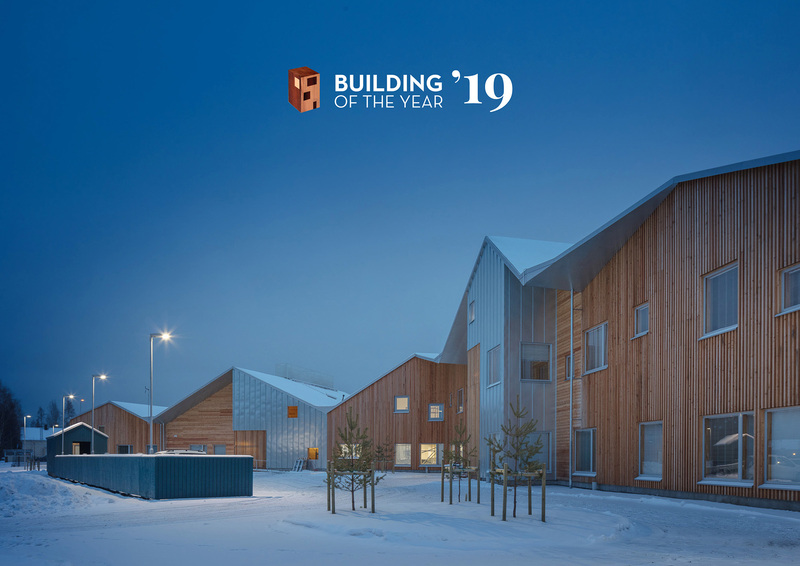 The award is granted by ARA and given out annually for a project providing affordable housing of high quality with a special attention on the long-term sustainability of the building over its entire life span. The Puukuokka Block is recognized as a unique and exemplary building project that paves way for a new approach to the construction of housing in the future. This year, 2019, marks 70 years of funding for loans by ARA for building affordable housing. The award is given out in the annual ARA Day Seminar held on January 15, 2019. This year the seminar celebrates the anniversary of the loan granting activity of ARA. For more information on the seminar program, see here. The Puukuokka complex offers homes for 184 households from single dwellers of all ages to families with children. Finished in 2015, Puukuokka One was the first eight-story high wooden apartment building in Finland. Puukuokka Two was completed in 2017, and Puukuokka Three in August 2018. 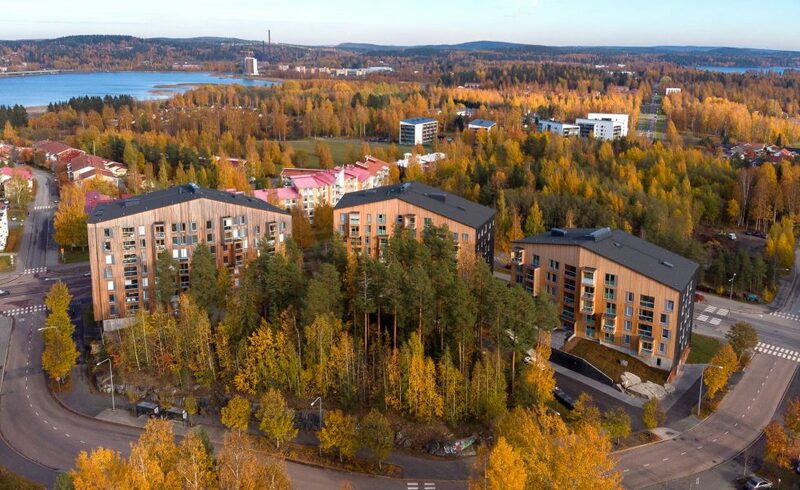 With the completion of Puukuokka Three, the energy-efficient and ecological trio of multi-story wooden apartment buildings forming the Puukuokka Block is now complete. The Puukuokka housing has been extremely well received by the residents who praise it for creating a comfortable living environment with an excellent framework for a friendly and socially stable neighborhood. Puukuokka explores the potential of modular prefabricated CLT construction to provide environmentally responsible and affordable housing of high quality. 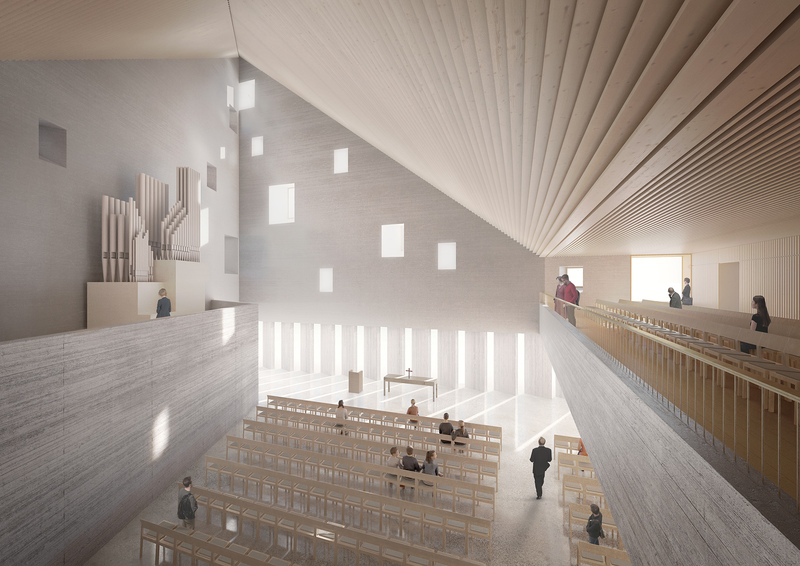 Puukuokka attempts to make the best possible use of the technical and aesthetic qualities of CLT and to create a wooden building in large scale with a distinct architectonic expression of its own. The block also pilots an innovative lease-to-own financing strategy that aims to support social sustainability by promoting stable communities. 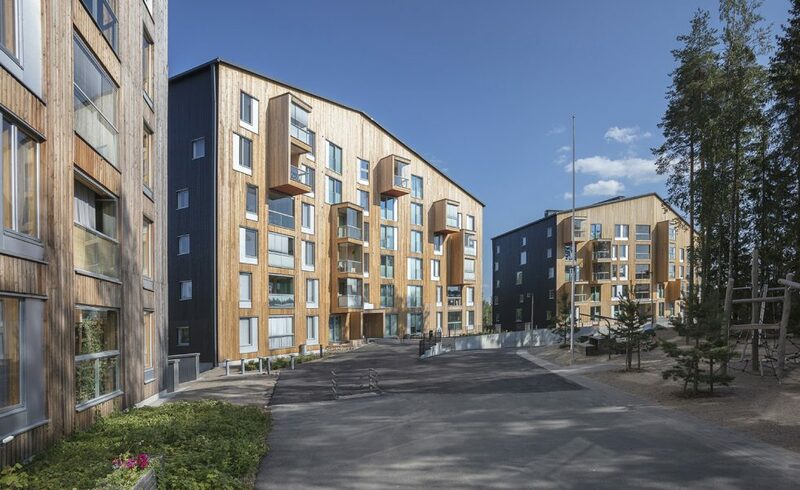 The concept for the application of volumetric CLT-modules to create multi-story apartment buildings with a loadbearing structure entirely made of wood was developed in collaboration with Stora Enso. The Puukuokka project was commissioned by Lakea and it was realized in collaboration with the City of Jyväskylä. The goals set for creating an innovative concept for an ecologically and socially sustainable concept for multi-family housing were exceedingly well met and the project was realized within the set budget framework and schedule. Anssi Lassila will be giving a talk at the Forum for Wood Construction in Trondheim on January 10, 2019. The lecture will address the experience of using volumetric CLT modules in multi-story apartment buildings with a focus on the Puukuokka Block in Jyväskylä, Finland as an example. Puukuokka is a trio of energy efficient and ecological multi-story apartments with a wooden frame and load-bearing structure made of CLT. 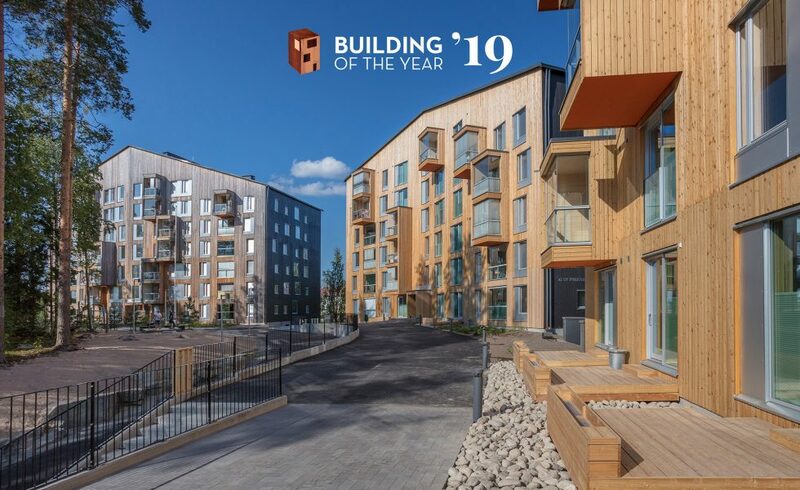 Competed in 2015, Puukuokka One was the first eight-story wooden apartment building in Finland. The entire Puukuokka Block was competed in 2018. The Forum for Wood Construction is a two day event organized by Tekna / NITO and it is held at the Clarion Conference Center in Trondheim on January 9-10, 2019. Anssi Lassila has been invited to give a lecture at the CLT Forum Japan 2018 in Tokyo. The Forum is an annual event organized by the Japan CLT Association, JCLTA, and this year it will be held for the 6th time. The goal of the Forum is to increase knowledge about the use of CLT in architecture and construction in Europe and in Japan amongst professionals in the fields of architecture, design, construction and research. In his lecture titled “Better Life” Anssi Lassila will be sharing his experience in using wood in architecture with the goal of creating a framework for a good life. Anssi Lassila will present a range of works from buildings that make use of the traditional Nordic log structures built by handicraft skills to projects that develop new ways of making use of the potential of CLT in creating sustainable solutions for future living and urban life. The lecture will be held in English with simultaneous interpretation in Japanese. In previous years, the guest lecturers have included Andrew Waugh (Waugh Thistleton Architects, UK), Kristen Slavin (PATH Architecture, US), and Yukiharu Takematsu (EPA , Japan) in 2017, and Gerhard Schickhofer (TU Graz, Austria), Isao Sakamoto (Honorary professor of Tokyo University) in 2016. For more information about the CLT Forum Japan (in Japanese), see here. OOPEAA has just received a grant from the Ministry of Environment, Finland for a research and development project to create a Life Cycle Visualizer. The grant is part of the Growth and Development from Wood Program by the Ministry of Environment, Finland. OOPEAA’s Life Cycle Visualizer is one of the eleven projects to be supported by the grant. The Life Cycle Visualizer will provide an early assessment tool for evaluating the impact of material choices on the sustainability of a building. The tool makes it possible for designers, clients and all parties involved in the early decision making process of a building project to better comprehend the impact of alternative material and structural choices in a particular location for a particular volume on the sustainability of the project, and to communicate about it in an easily understandable, visual manner. The intention is not to create a tool for providing a full life cycle analysis. Instead, the goal is to create a web based visualizing tool to be used in the early stages of design prior to having made decisions that at a later stage will make it possible to perform a proper life cycle analysis. OOPEAA will carry out the research and development project together with an international team of test users and key collaborators. The Life Cycle Visualizer project builds on OOPEAA’s earlier experience as a participant in the STED program, a three-year Nordic collaboration project on sustainable transformation and environmental design supported by the Nordic Built grant for Innovation to provide a Nordic innovation platform for developing new design solutions and design processes for construction, renovation and transformation. For more information on the grant program supported by the Ministry of Environment, Finland can be found in Finnish here. More information on the Life Cycle Visualizer can be found in this PDF.